He also had the opportunity simultaneously to study with an incredible array of touring jazz giants at the time that included John Scofield, Steve Erquiaga, Miroslav Vitous, Woody Shaw, Johnny Griffin and others. Having initially immigrated to New York in 1992, he continued studies with the likes of Pat Martino, Tal Farlow, Rodney Jones, John Abercombie and Barry Harris and further developed his skills in clubs like Visione's before returning to Australia in the mid-nineties for personal matters. 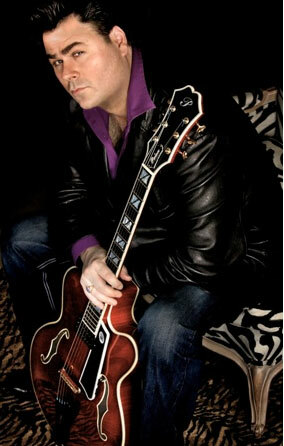 JC Stylles relocated permanently back to New York in 2005 where he released the recordings "Chillin' at Home" and "Live and Unveiled" of which both are in the guitar/organ trio format, where he has staked his claim. He also concentrated on performing with the best Jazz Organists in the business including, Jimmy McGriff, Dr Lonnie Smith, Tony Monaco, Pat Bianchi, Seleno Clarke, Jimmy "Preacher" Robbins, Melvin Davis, Nathan Lucas, Akiko Tsuruga and others. His latest recording "Ex-hil-a-ra-tion and other states" featuring Pat Bianchi on organ, Lawrence Leathers on drums, and produced by the Grammy award winning producer Jack Kreisberg, is getting rave reviews from those in the know before it has even been released. JC Stylles' Libran commitment to ensuring the balance of the important musical elements that makes for great jazz experiences for listeners, are what sets him apart from many others in the field today. Additional projects underway include an eagerly awaited instructional video revealing the secrets to effortless archtop jazz guitar right hand technique & performance as innovated by George Benson, and a live DVD performance entitled "JC Stylles-Live from Uptown & Downtown NYC".